Today I will wrap up the “mini series” on Traditions by sharing one more idea that Matt & I have enjoyed together and hope to grow with as our family grows. 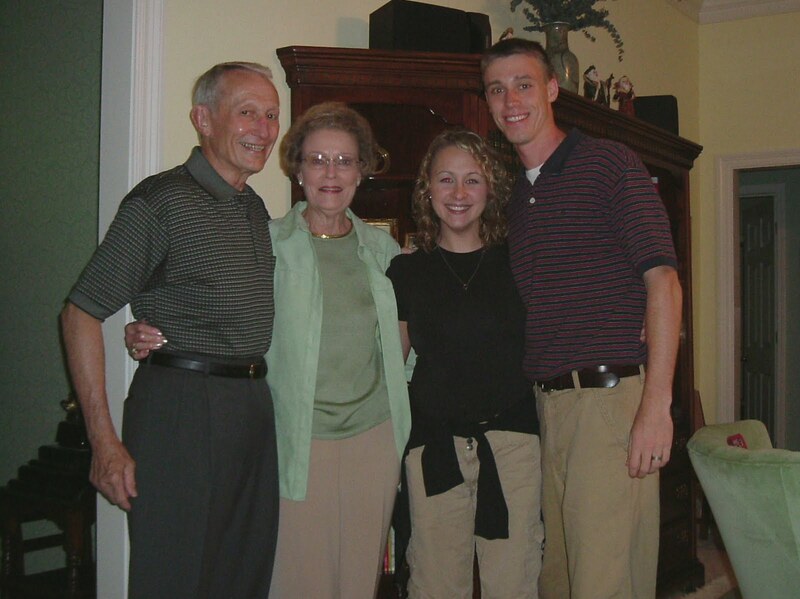 As a kid, Matt loved to stay with his grandparents in Mississippi during the first weekend of the NCAA Basketball Tournament. They would watch games all day together and make wonderful memories during these visits. (As a kid, I had no idea what March Madness was). Our senior year of college, Matt took me to Mississippi to visit Grannye & POPSi for the first time, during- yep you guessed it- the NCAA Tourney. This weekend visit quickly became a treasured annual tradition, which we creatively(?) deemed “Mississippi March Madness.” We went every single year… until last year when Reed made his grand entrance into the world during the first round of the tournament… I guess you could say we had our own version of March Madness in 2010! The long and short of it is that we want to continue the tradition of March Madness fun. This year, Matt and I filled out our usual brackets and we even came up with a crazy process to help Reed fill one out too! We posted the brackets in the kitchen and kept track of our progress throughout the tournament. (I will go ahead and tell you that Reed’s bracket did better than Matt’s and mine!) Our idea is, like with the other traditions, to allow the fun to grow with our family. With younger kids, to keep it exciting, you could give out silly awards after each round, rigged in a way that each child gets one—best upset, risk-taker award—whatever. Of course, as kids get older and understand the game, they can enjoy tracking the brackets on their own. Maybe the family agrees on a fun prize beforehand, like winner picks a restaurant or activity for a celebratory family outing at the end of March Madness. POPSi went to heaven in 2007, and I know that March Madness will always be an extra special time to remember him, and for Matt to share stories with his children about their great grandfather. Grannye recently moved to Atlanta and lives nearby, so we will have her bracket right up there in the mix—probably leading the pack!